A camera follows a pair of white sneakers as they walk across a black floor. The sounds of whistles and cheers off camera grow louder. The sneakers stop at a microphone. A man's voice cuts through the din. "Hi. I've got a tape I wanna play." A boombox is lowered to the floor. A finger presses a button. And so begins one of the greatest concert films ever made. 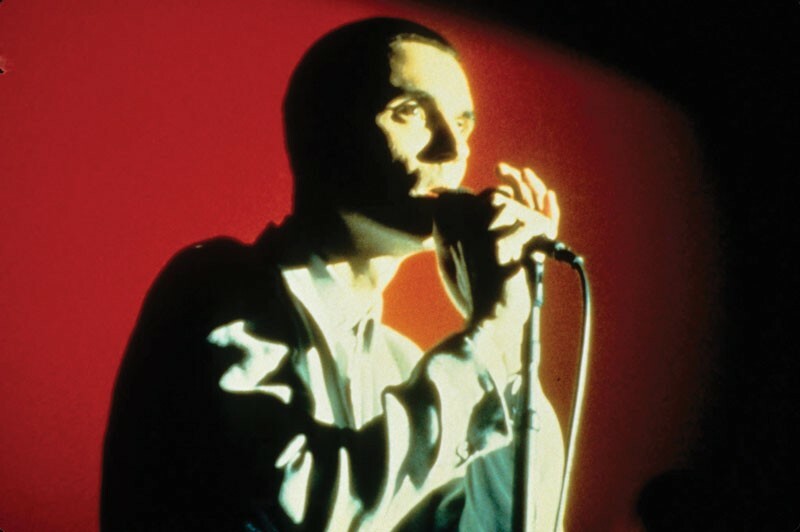 I saw Jonathan Demme's Stop Making Sense in 1984 at the Arcata Theater back when you could sneak a smoke or drink in the farthest rows (I remember the distinctive sound of an empty beer bottle clanking to the floor and rolling all the way down to the front). People didn't sit still for this movie. There wasn't any armchair rocking — they stood on the seat cushions and danced. And the ushers didn't tell any of 'em to knock it off. They were mesmerized, too, standing at the back doors, staring at the spectacle on the screen, bobbing their heads and grinning at the genius of David Byrne, Tina Weymouth and the rest of the Talking Heads. From the opening guitar riff of "Psycho Killer" to the haunting "Heaven" and rousing "Life During Wartime" to perhaps its most popular song "Burning Down the House," this film took us places no turntable or Walkman had. Demme doesn't rely on flashing lights, pyrotechnics, fast camera cutaways or crowd shots — he just opens his lens and candidly captures a wiry, frenetic man in a huge suit (that gets increasingly larger throughout the concert), his fellow bandmates, and the superb back-up vocalists and masters of funk who join them onstage. It's 100 minutes of some of the best music of the time, and now, 30 years later, at 7:30 p.m. on Friday, Aug. 28 at the Eureka Theater, ($5), you can bet it will be — same as it ever was — electrifying, cutting edge and damn near impossible to sit still through.